“We’re havin’ a heat wave… a tropical heat wave…” Mercy me if the lyrics to this Marilyn Monroe song don’t epitomize this summer. Record-setting temperatures and heat indexes are making it almost too unbearable to even think about going outside, much less actually doing it. There’s one thing you should absolutely pick up if you happen to be out there in the heat, and that’s a watermelon. This juicy melon comes in to the peak of freshness during the hottest month of the year, August, and provides more benefit than just a sweet natural treat. One serving of watermelon, a 4.3-ounce slice, has a whopping 37 calories! That means when you’ve got a sweet tooth that needs hushed, you can dig in without the hint of guilt—unless you let the juice dribble on your shirt. 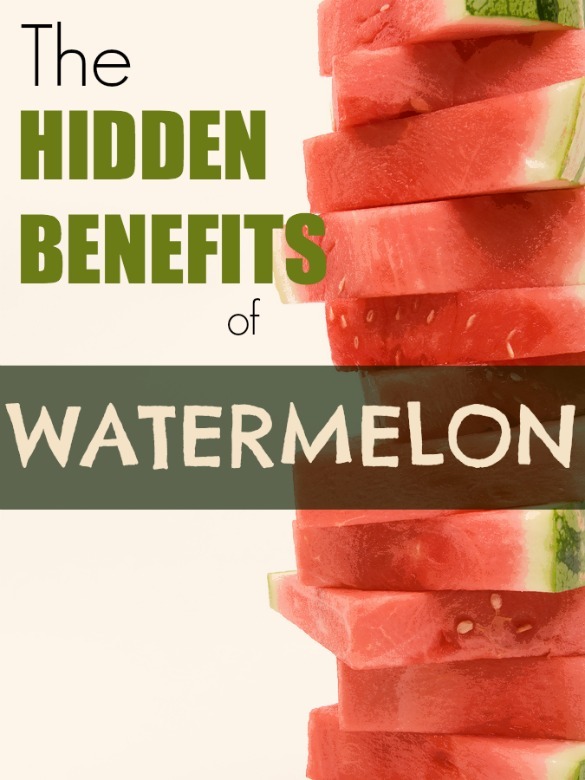 The health benefits of watermelon are great, too! Watermelon is a rich source of vitamins A, B1, B6 and C, along with minerals potassium and magnesium. One of the most valuable health benefits is due to watermelon’s 92 percent water content, making it hydrating and thirst-quenching. All that bright-pink goodness is a sign of beta-carotene and is also loaded in antioxidants, namely lycopene; both nutrients that aid in removing free radicals and disease prevention. Ice cold, there is nothing better than a thick slice of watermelon. However, like any other fresh produce, you may want to use it as a recipe component, so we’ve got a few ideas for you! My favorite watermelon dish is Tomato-Watermelon soup, or gazpacho you could call it too. I stopped eating watermelon a year ago because I was told it had a high glycemic index. I really miss it. Please tell me this is outweighed by the nutrition benefits so I can eat it again!